By Rachel Held Evans, on August 29, 2013. This is the fourth post in a weeklong series entitled “Submit One To Another: Christ and the Household Codes,” which will focus on those frequently-cited passages of Scripture that instruct wives to submit to their husbands, slaves to obey their masters, children to obey their parents, and Christians to submit to one another (Ephesians 5:21-6:9, Colossians 3:12-4:6; 1 Peter 2:11-3:22). You are welcome to join in the conversation via the comment section or by contributing to the synchroblog. Use #onetoanother on Twitter. Check out the previous posts: "4 Interpretive Pitfalls Around the New Testament Household Codes" and "The Letter to Nympha’s Church" and Aristotle vs. Jesus: What Makes the New Testament Household Codes Different. 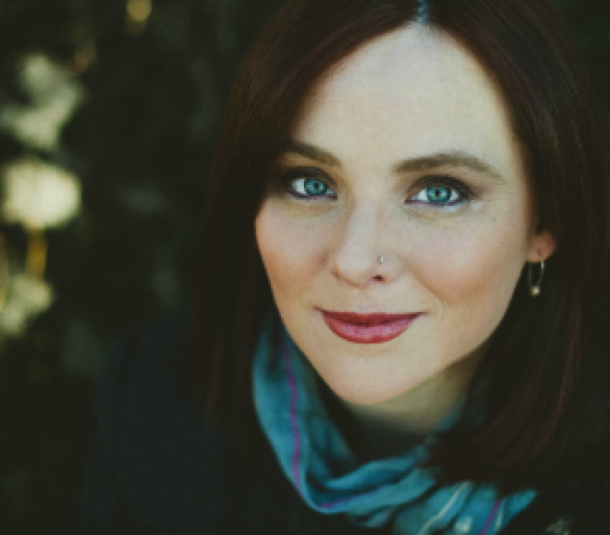 As we continue our series today, I am thrilled to welcome the lovely, wise, and talented Sarah Bessey to the blog. Sarah is one of my favorite bloggers and she has a book coming out in November, Jesus Feminist, that is a MUST READ. (Yours truly wrote the foreward.) Sarah is an editor at A Deeper Story, and a contributor at SheLoves Magazine. She is a happy clappy Jesus lover, a joyful subversive, a voracious reader, an unrepentant hashtag abuser, and a social justice wannabe. She lives in Abbotsford, British Columbia, Canada with her husband and their three tinies. I asked Sarah to write about what it looks like to have a mutually submissive marriage because she always does so in a way that is inspiring, relatable, and personal without being too prescriptive. Enjoy! I know that principles are useful and helpful, I do, but for some reason, they just don’t sum up what it means to love Jesus, do they? When I try to describe the spirit-filled life of living loved, I resort to metaphors and stories: I’ll stumble through the words of John 15 about life in the vine or say phrases like “live and move and have our being” and sometimes I talk about Isaiah or maybe shepherds and sheep who know His voice, but usually I am left saying “it’s like this…” and then I am only bearing witness to the Spirit’s movement in my own life and the Love who transforms me. I have a hard time to explaining it because it’s so inherent to my life: this is the way, and I walk in it. Maybe that is the difference between religious performance and relaxing into a relationship. My faith is now a dance between the Holy Spirit and the Scriptures and my community, it's alive. I’m being changed from the inside out, and I want to prophetically live the ways of Jesus into every corner of my small existence. I know where I belong and I know my true identity at last. Against my usually-better-than-this judgement, I began to write online about my marriage a few years ago. I never write about how to have a good marriage - there is nary a principle or seven-step plan to be found. Instead, I write about what love looks like for us. In the same way that the longer I know and love our Jesus, then the less I want to write or pontificate about Being a Good Christian, it seems that the longer I'm married, the less I want to write or pontificate about Having A Good Marriage. Now I just want to read dog-eared poetry books and cook his meals, argue with him about theology and then kiss him on the kitchen floor. And maybe that's the difference between the Principles of a Good Marriage and the real grit of living into a lifelong love affair: principles may be useful and helpful, but this is more than a performance, more than a checklist, more than a carefully negotiated list of behaviours and affirmations and role fulfillment and decisions. Marriage is alive, we're learning to live our love into every corner of our small existence because we know where we belong. Now when people ask me to describe or even prescribe a marriage of mutuality, I resort to metaphors and stories. I stumble through the words of Scripture and I say phrases like "it's more of a slow dance than a choreographed performance" and sometimes I talk about my parents' nearly forty-year marriage or the ways we have done things differently now and then, but usually I am left saying, "It's like this..." and then I am simply bearing witness to our own marriage. It's so inherent to my life: this is our way, we just walk in it. I am a storyteller at heart, and right there in the core of my heart is a tall and steady Nebraskan who has loved me as Christ loves the Church since we were teenagers together. He has loved me through our sometimes divergent spiritual awakenings and crashings, the changes in our vocations and careers, the tectonic shifts in our beliefs and politics and locations, right on through the births (and losses) and now raising of our babies. We're grown-ups now with a mortgage and a mini-van filled with carseats and crumbs. There are only six crystal goblets left from the original eight of our wedding set. I think we broke one in the move home to Canada from Texas and another one crashed to the floor after a careless gesture at the dinner table. Not everything survives an entire marriage. We aren't choreographed. We aren't applied principles. We aren't gender roles. We aren't boundary markers. We're in love with each other and so we practice playing second fiddle, we practice putting the other one first. We would turn our lives upside down for each other's happiness and fulfillment - and sometimes we have had to live out the painful sacrificing truth of that more than we could have dreamed. Yet always seeking to make each other feel more loved has meant that we are both so well loved. We want to choose love. We can choose - in each moment - love over fear, abundance over scarcity, vulnerability over false armour, mercy over judgement, mutuality over dominance. We can choose to lay down and surrender our power out of hard-won trust, we can serve another instead of our own self. And trust me, in fifteen years, we have not always chosen well. Now we just try to love each other as if our lives depend on it (because they sort of do). One of the greatest gifts we have given each other is the room and the grace to change and to grow. We could have, we would have, lost each other, many game-changing moments later, if we hadn’t had the underlying rule of it all: in this moment, in this decision, right now, how can we love and serve each other? The buck doesn't stop with my husband, it stops with us together, and we wait in the in-between places and pray and learn again the grace of good love and true honour together. Each marriage is as unique as the image-bearers who entered into a covenant with each other. Of course the ways that we live out our love stories is going to be unique to our histories, our families, our context, let alone the ways that we can embody the hope of glory and the mystery of power-eschewing, self-sacrificing, you-first-darling sort of love. In a marriage of mutuality, there is room for each of us to follow Jesus, for each of us to heed the Spirit, for each of us to lead and for each of us to follow. I trust my husband hears from God, he trusts that I hear from God, and we trust each other. Be sure to check out Sarah's amazing blog and consider pre-ordering Jesus Feminist, which releases in November and is absolutely fantastic. You can also find her on Twitter and Facebook. So what does your marriage look like? What stories, images, and fragments of poetry best capture the mutually submissive marriage?